The days when the only on-board entertainment on cruise ships consisted of playing cards, sitting on deckchairs and participating in organized evening games are well in the past now. 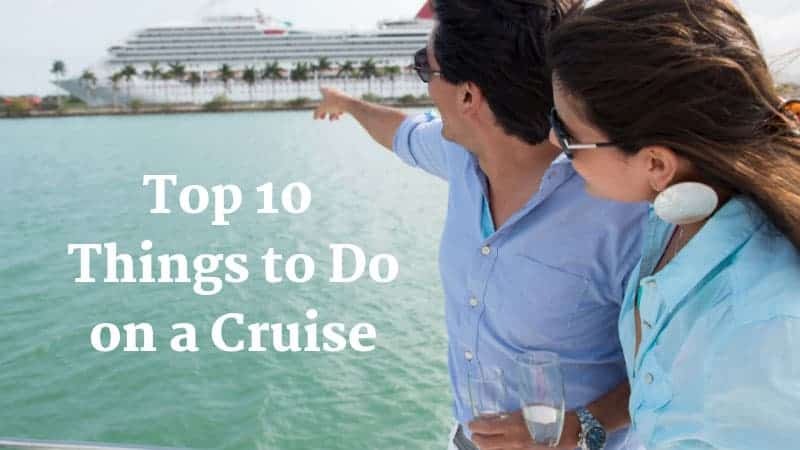 Nowadays, the things to do on a cruise are so plentiful you won’t be bored for even a minute. 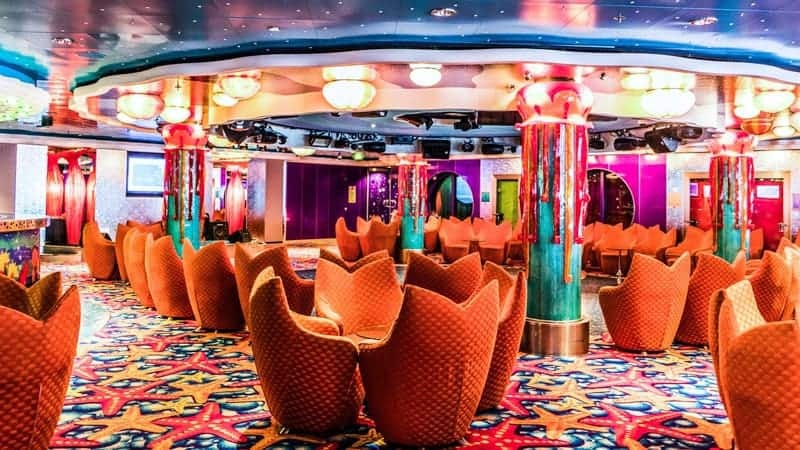 In fact, modern cruise ship entertainment can be so abundant and overwhelming that you might even retreat to your cabin for some peace and quiet! Which is totally fine, of course. Relaxing is one of the main attractions of a cruise holiday in the first place, after all. While working out might not be the first thing on your agenda when you embark on a cruise, it is a nice perk to have. Most modern cruise ships boast state-of-the-art gyms with the latest equipment. Starting your vacation day actively will only enhance your experience. Hit the gym by yourself or join one of the many work-out classes on offer. 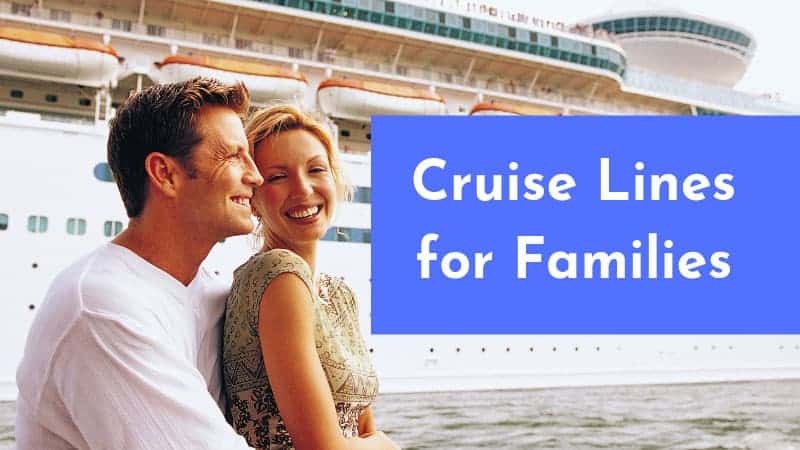 One of the main attractions of going on a cruise is how convenient it is. You can literally sit back, relax and watch the world flow by. The ship will bring you to your next destination. So, grab a chair or claim a hammock on deck and work on your tan. If it’s too hot in the sun, there’s no better way to cool off than a quick jump in the pool. Every self-respecting cruise line nowadays offers much more than just a swimming pool, though. 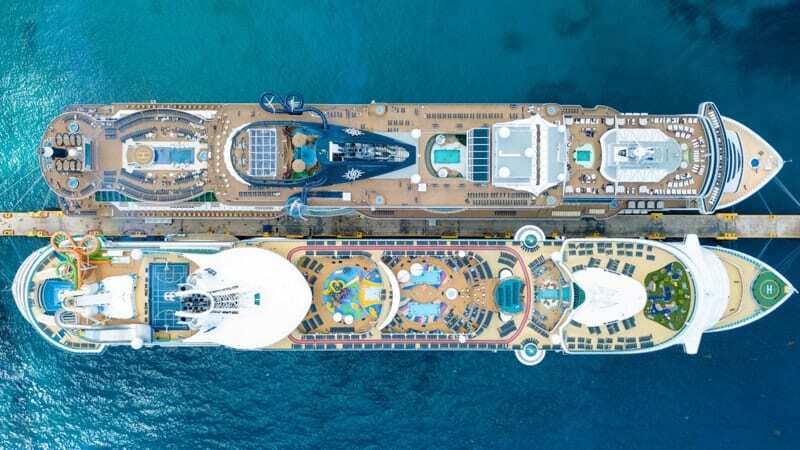 All major cruise ships now feature entire water parks, kids’ pools and surf pools. 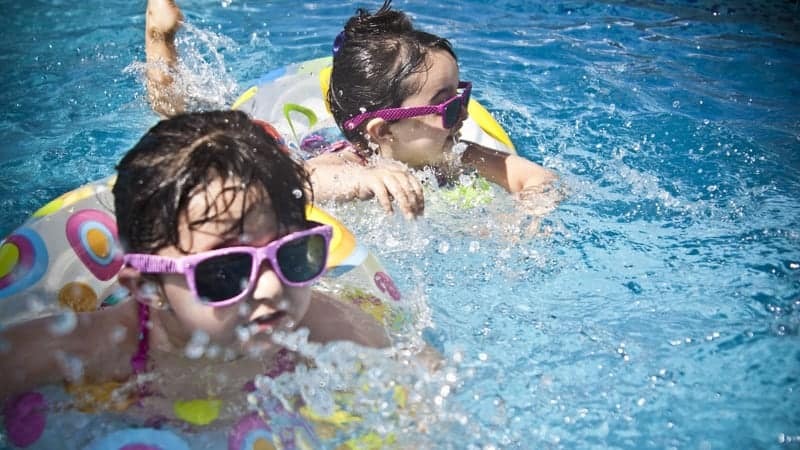 There’s plenty of water fun to be had, in case you want to mix things up. For those who always want to learn something new, there is a variety of workshops on offer. 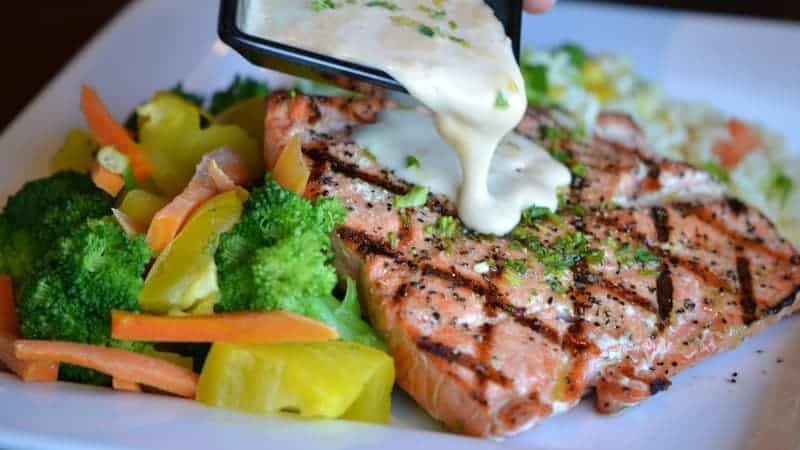 From taking digital photography classes to learning how to cook local dishes and even learning a new language, going on a cruise does not mean mindless activities all the time. Rather the contrary, in fact, workshops are one of the most fun things to do on a cruise, also a great way to meet other people. There’s no end to the amount of entertainment provided on cruises nowadays. After dinner, you can watch everything from Broadway shows and musicals to comedians, magicians, dance acts and performances by some of the world’s biggest bands and artists. Adrenalin junkies will be able to enjoy themselves, too, don’t worry. 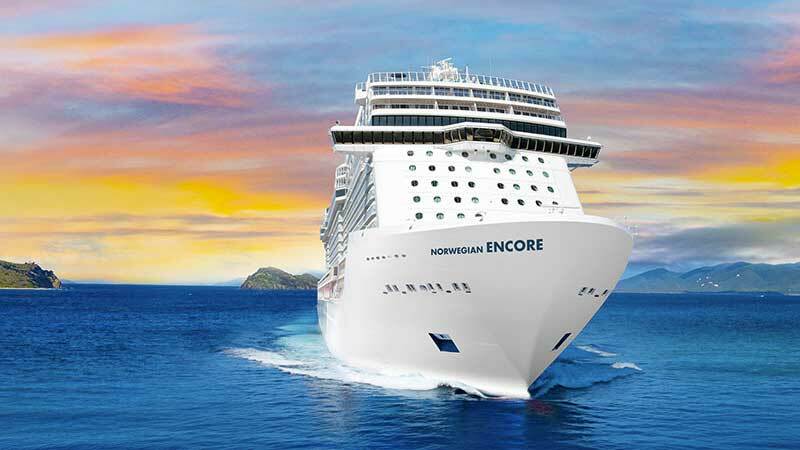 Cruising is no longer a passive activity, as the numerous thrill rides available on many ships clearly prove. There are rope courses, speedy water slides and zip lines. Royal Caribbean, for example, even has a skydiving simulator. Saunas, steam rooms, hot stone massages, facials, manicures and pedicures, barber services for men, chocolate body wraps,… Nothing is impossible on cruise ships nowadays when it comes to spa treatments. Nearly all large ships feature some kind of spa where you can enjoy a wide range of services. The big ships typically also have additional services like acupuncture, Botox and dental treatments. A lot of time on board is spent eating and drinking—just as you do when you’re home. The big difference is that there’s more culinary variety than you’ll find pretty much anywhere else. Want to grab a New York-style pizza? Or rather feel like some Indian food? Maybe you’ve always wanted to try Asian fusion? What about a full plate of typically Italian pasta or seafood? Or delicious vegan dishes? It’s more than likely that all of that is readily available on your ship. And then some! If all those things to do on a cruise get a bit much, you can always retreat to your own cabin or, if present, a serenity deck. 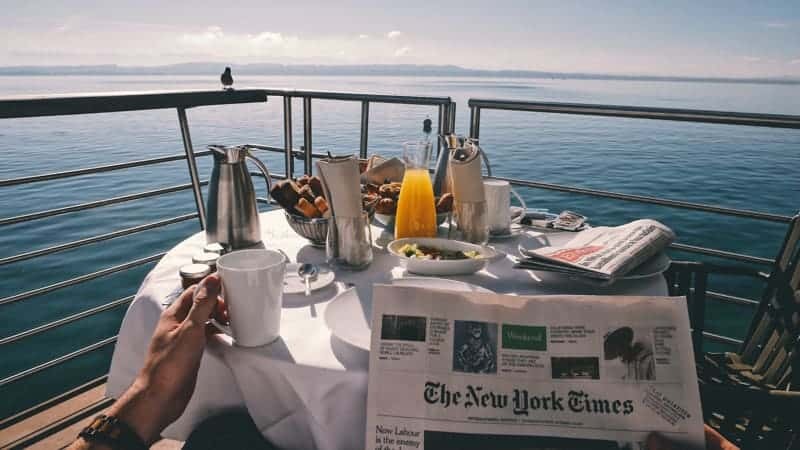 There’s nothing better, though, than sitting on your own balcony, overlooking the ocean while enjoying a cup of coffee, glass of wine or even room service. Pure bliss! 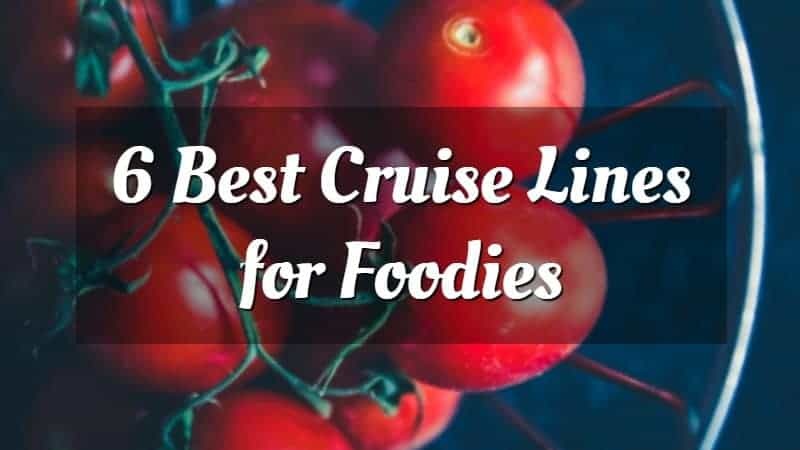 There are many awesome things to do on a cruise, but let’s not forget the destinations themselves. 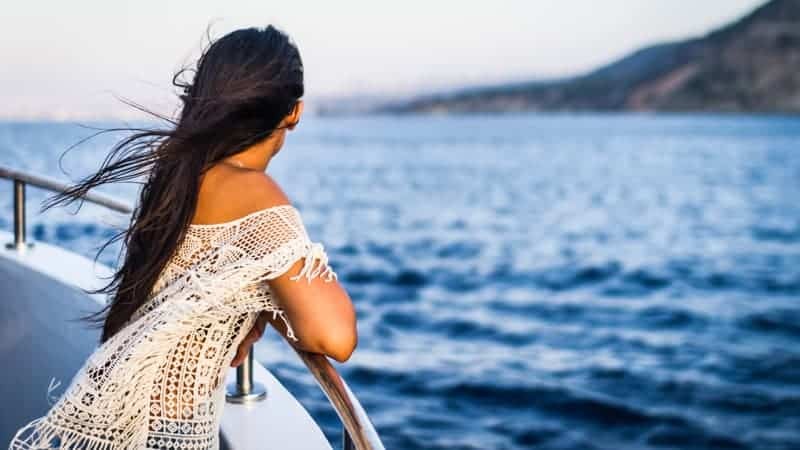 The beauty of cruising is that you’ll travel from one place to the next, some of the world’s most scenic destinations that you probably won’t have visited otherwise. So, definitely take advantage of that and join some shore excursions, sign up for on-land workshops or head out on your own whenever you’re in a port of call.